I installed your platter and bearing in one of my 301’s. They sound great. I listen primarily to classical music, and the sound of your platter is greatly appreciated. I have two 301’s in my main system. Over the years they evolved into identical configurations. I had two 301’s to judge change. They started out with baltic birch plinths, then single layer slate, then evolving to 4 layer slate with all slate interfaces separated with “mechanical diodes”. The tonearm is supported by a three slate layer column with similar “mechanical diodes”. 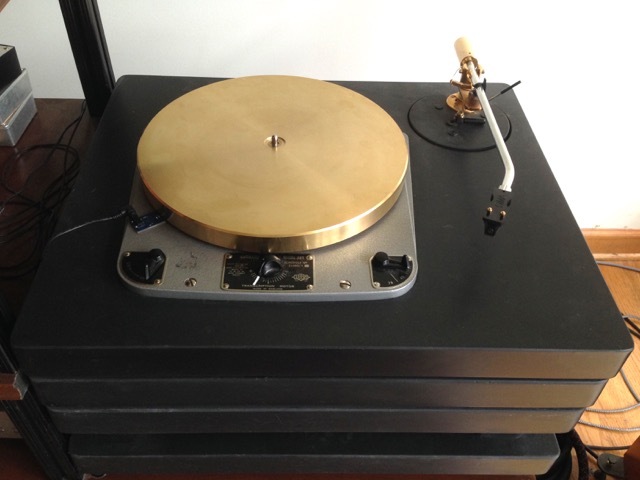 I previously was using a Tenuto gun metal mat on the 301’s platter. Your mat is a major improvement. I have moved closer to the sound that I hear in concert halls.